Federico offers a Done-for-You Product Hunt Launch package for SaaS founders who care about standing out, making their mark and impressing the right people. A successful launch doesn’t mean just upvotes, but actual leads that want to subscribe and pay for what you’ve built. 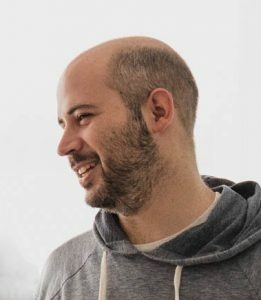 Federico is your guy if you are working hard on your product but don’t have time to create all the assets you need for a launch or you don’t know where to begin with to make it big on Product Hunt. Let us help clear "information overload" and find a solution to truly scale your business. Get advice that matters from top marketers. Acquisition and activation mean nothing if people don’t stick to your product or service. This is one of the most vital factors if you want to achieve sustainable growth. Retention is the essence of growth hacking. People who pay for using your product or service are those that put the real fuel to your company. Once people love your product, you need to start to optimize viral growth mechanisms and boost your growth engine. Viral growth is absolutely essential for achieving any significant scale in a B2C or B2B company. Find out from other experts in the growth hacker community the newest ways to grow your business! Read bi-weekly articles on the most impressive marketing trends hitting the industry. You don’t want to miss out. Receive the freshest growth hacks right to your inbox! “Growth Virality had an amazing impact, not only in the type of traffic we were receiving but also understanding our visitors and converting more.